How many of you love a good grilled cheese sandwich? While it is something many people reserve for kids, it is really one of those classic sandwiches that are good for all ages. Honestly, we love making these sandwiches in our home since they are not only easy to make, but easy to dress up to fit just about any taste. With April being National Grilled Cheese month, we are excited to share with you our families favorite grilled cheese recipe. In our household, the secret to a good grilled cheese sandwich, especially for an adult, is quality ingredients. For us, it is a good garlic herb butter, bacon, specialty cheeses, and of course, a high quality wheat bread. Probably one of the best breads we have used for sandwiches in our household, especially grilled cheese sandwiches is Klosterman’s. We especially love their honey wheat since this whole grain bread has the right amount of flavor without being overwhelming. Best of all, this bread is made right here in our Cincinnati area and can be found at most Kroger stores! So, ready to make a delicious sandwich for National Grilled Cheese Month? 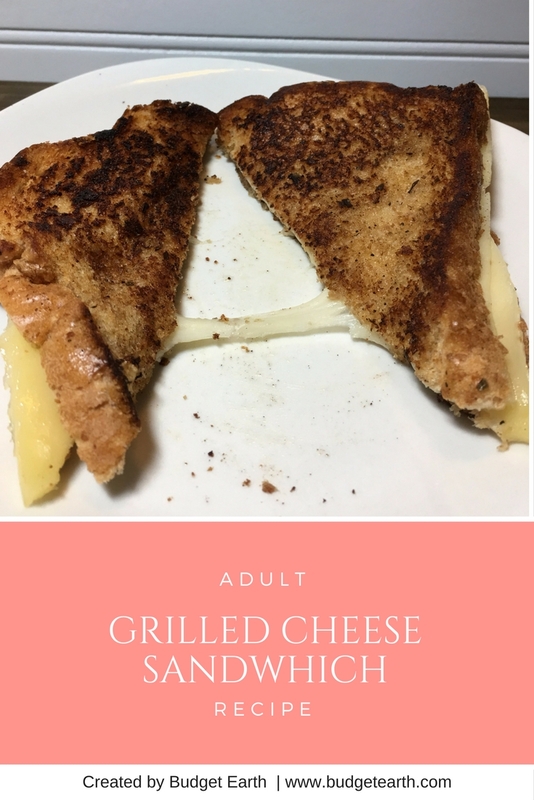 Make sure to tell what you think of our Grilled Cheese for Adults Recipe! An adult twist on the classic grilled cheese sandwich using flavorful cheeses and seasoning butter. Start heating up a cast iron pan or your preferred pan. Butter your slices of bread with the Chef Shamy Butter. Place one of the slices of bread, butter side down, on the skillet. Start layering the ingredients – 1 slice of cheese, 1 – 2 slices of Parmesan Cheese, and another slice of cheese. Put the other slice of buttered bread on top – butter side up. Once the bread starts looking slightly brown, flip over and continue to grill until the cheese is melted. After the cheese is completely melted, remove from heat and serve hot. Grilled cheese is a favorite of mine along side a bowl of tomato soup. Especially on a cold winter’s day. I like this recipe. Wow….this looks sooo delicious! Seriously, who wouldn’t love this?! Some recipes must be pinned to Pinterest and this is one! I love grilled cheese especially when you feel unwell because it is comfort food. My favorite bread to use is artisan and we usually like to use American cheese. Yum, now this is a grilled cheese. I love the idea of herbed butter and good cheese. I also love grilled swiss on rye with good stone ground mustard. I love grilled cheese sandwiches this sounds like a good change . 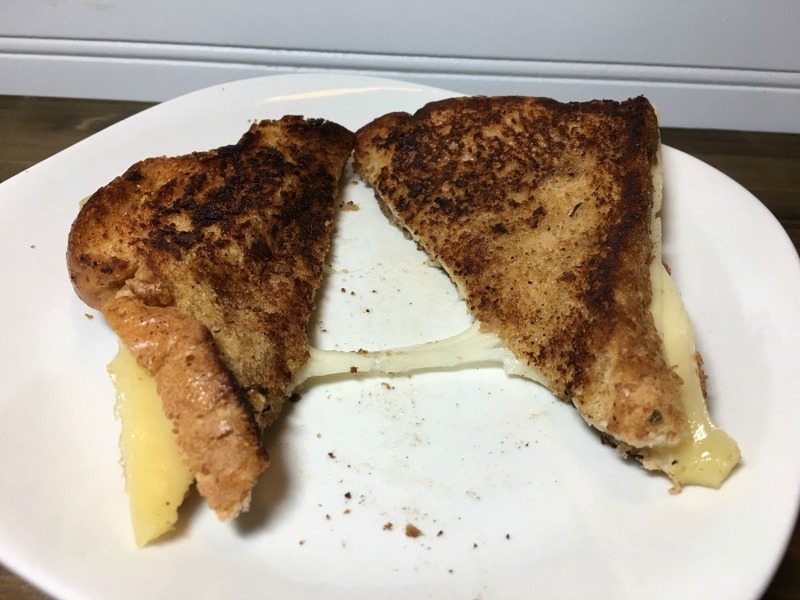 Grilled cheese sandwiches are still one of my favorite comfort meals. This would be a good recipe for some variety. When I saw “Adult” in the title, I thought it had booze in it! Ha Ha. It looks really good. This sandwich not only sounds delish it looks it and has me craving a grilled cheese sandwich and it’s only 10 AM. Nice twist on the regular grilled cheese sandwich. to the outside for a nice crunch! Fremch Onion Butter with Asiago! I can never get enough of Asiago! And the Jarlsberg, the Parmesan! Using the Honey Wheat Bread is a wonderful idea, I love the combination of sweet and savory! I love grilled cheese. It is a good comfort food. Oh holy moly! The flavored butters sound mouth-watering! I’m imagining caramelized onions and drooling! I would love to try this, I’m so hungry now! It would make a nice breakfast at least as far as I’m concerned! Oh my, this grilled cheese sandwich sounds like heaven on earth! I love regular sharp cheddar and butter for a grilled cheese, but this…I’m going to have to try this recipe soon!